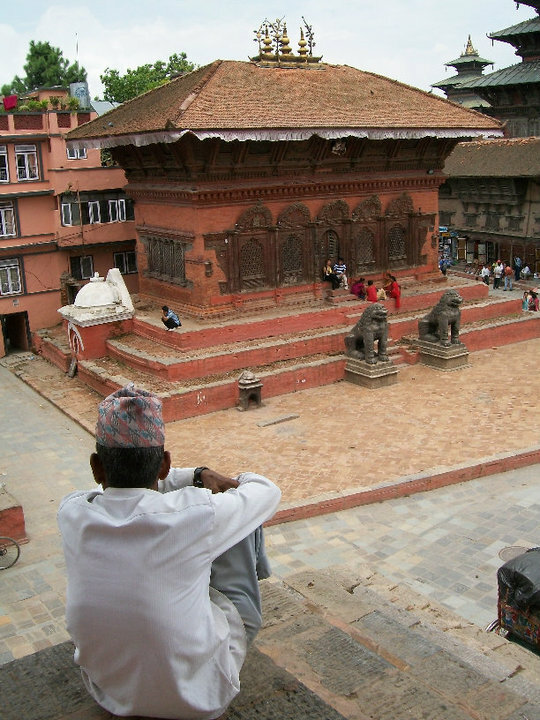 I had the great privilege of traveling to Nepal with fiction writer Lana Spendl a few summers ago, where we walked down streets with our professor, Samrat Upadhyay, who was constantly being recognized as the celebrity author he is. Shopkeepers would run to their nearby homes to grab their copies of his novels and ask for his autograph and how they too could become published storytellers. As we walked around Kathmandu, we discussed the nature of reality or intention–Lana is not often one for small talk. Her stories too have a richness that is above average. You can find her story “In the Bascarsija Quarter,” which was nominated for the Pushcart Prize, in The Greensboro Review Issue 91. I write short stories and flash fiction. I was born in Sarajevo, Bosnia, and spent half of my childhood in Avila, Spain, due to the Bosnian war. Most of my stories take place among the churches, mosques and cobbled streets of these two cities. I’m working on a collection of stories which takes place in Sarajevo about ten years after the peace treaty was signed. This falls around 2005, the year I last visited the city. My stories follow various men, women and children who live in the Grbavica neighborhood in a tall building that overlooks the River Miljacka. The stories portray widely different characters, from a middle-aged alcoholic man who lives with a war widow to a short-tempered female lawyer who is afraid of betrayal and abandonment. I find it helpful to write about characters who are facing challenges different than mine; this allows the characters to remain self-contained and prevents a lot of my personal thoughts and feelings from pouring into the story. I started writing the flash pieces recently. They offered me a break from the story collection. The collection consists of highly traditional stories written in third person. The flash work has allowed me to go back to playing with first-person narrators. Also, while working with flash, I do not feel constrained by setting or style and play with any topic that captures me in the moment. In terms of process, I begin stories with an image—although sometimes I picture entire scenes involving tree-lined streets and winds that run the leaves across the pavements—and then I focus closely on one character and record everything he/she does within this space. One action leads to another, and, in first drafts, it is the story that leads me along. In revision, I often rewrite the story from the beginning, and much of what I wrote in the first draft gets thrown out. Sometimes my characters change drastically from one draft to another. A neurotic young man in a first draft may turn into a gruff octogenarian in the second. What are the sources of inspiration you return to? I assume you’re asking about literary inspirations. I love Virginia Woolf, Colette, Hermann Hesse, Nabokov, and highly personal philosophical works, like Seneca’s letters or anything by Rousseau or Nietzsche. I also enjoy Russian fiction with an absurdist bent. And I love the sounds and images in Lorca’s earlier poetry. When I think of Woolf, I think of sunlight, glittery water, rhythm. She gives the most basic elements of life meaning—I’m thinking about her essay on the moth now—and reading even a page of her writing makes me feel more involved with my own life. The Waves is my favorite novel of hers. Colette gives a preciousness to memory. I love her tender treatment of her mother and even the detailed way in which she arranges jars on a table. Nabokov’s style is powerful. Reading him sharpens my own images. Among the Russians, Vladimir Voinovich is a writer I’ve been reading religiously. Hilarious, dark, sometimes cartoonish. I also recently watched the movie Adore. Great character study. It takes place by the Australian seaside, and it portrays the sexual relationships two close female friends have with each other’s sons. The movie is subtle and honest, and after watching it, I discovered that it was based on Doris Lessing’s novella The Grandmothers. I’m reading this piece now, and there is much to admire about the way the narrator plays with point of view and space and the fascination people have with the lives of others. This kind of fascination—the projections we cast on others—is something that interests me very much. I work full-time as an academic advisor and part-time as adjunct faculty in fiction at Indiana University. I completed my MFA a few years ago and moved into an MA program in Hispanic Literatures. After finishing it, I started a PhD in Spanish Literature. I was drawn to twentieth-century Spanish novels and poetry—they rely heavily on themes of trauma and memory—but since the PhD program was a critical one, I felt that I had to keep on mechanically deconstructing texts and language when all I wanted to do was construct. The creative and critical mindsets seemed to work in opposition to each other, and I decided to leave the program in order to have the space to write. I was lucky enough to land a position in advising shortly after leaving the program—it was the job I wanted most in Bloomington, because it would allow me to keep on working closely with students and to remain in the academic environment—and I was offered a creative writing teaching position the same summer. I truly enjoy both jobs. They allow me to remain in an environment in which people talk about ideas, and they allow me to help students in matters relating to their education. This is a matter close to my heart. I also enjoy interacting with people all day. It compliments my writing well, since writing is a solitary endeavor and I’m a very social person.